Your door system may start to show it's age all of a sudden, taking you by surprise. This is likely to be truer if you don't tend to carry out or schedule system maintenance very often. 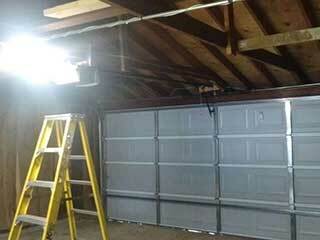 Don't let the age of your garage setup get in the way of proper functioning. Let our company optimize your system with our preventative maintenance services. Safety should be right up there with optimal functioning when considering the setup you have at home. During a maintenance visit, our technicians will carefully inspect both your opener sensors and the reverse function to ensure there is no risk that the door will close on a person or property in the way. Small tears and damage to the integrity of the electronic and mechanical parts of your door system can make them more susceptible to malfunctions in the future. Why not prevent such failures by allowing us to treat minor damage before small problems evolve into larger issues. We'll conduct a full inspection of your door and help you to ensure an optimal level of functionality. When damage is so extensive that a mechanical or electronic part can't be repaired, we can substitute it for you. Without a replacement, this damaged part will likely fail, causing you a potentially more costly repair job in the future. During a maintenance check, we'll also check the condition of the springs and gauge their condition - we'll perform any tension adjustments as needed. These parts are the muscles of your system if something goes wrong and a spring breaks, you'll no longer be able to you use your door. For this reason, we recommend spring lubrication and adjustment at least once a year as part of your usual professional maintenance routine. Call us at Garage Door Repair Olympia today and we'll provide the best maintenance services for your door and opener.